Manwaring Moments: Our Dad is HOME!!! Hooray!! Jarom came home, and of course he brought lots of goodies for everyone. It was like Christmas morning at our house. Here's a couple shots of the kids with a few of the souveniers he brought back for them. Carter looking like a rapper in his Tokyo shirt, Beijing Olympics hat, and several Olympic mascot watch-necklaces. He felt so cool. It was hilarious! Halle and Alyssa feeling pretty with their Chinese fans. They are also wearing a watch necklace, and Alyssa is holding her coin purse from India, and Kate's adoreable Chinese pig (it's the year of the pig) is between them. Kate wouldn't cooperate to be in the picture. As a side note, Jarom got his Papa Tom's pizza for dinner. Life couldn't be better! Carter looks so tall!! And yes, he looks like a cool little rapper. I love the girls' fans! I remember having one as a little girl and I really cherished it. How fun! The pig is so cute! My kids would love something like that. 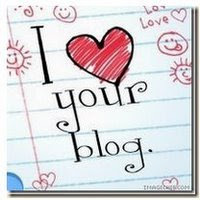 Blog, blog, blog, blog, blog, blog. I love it! I love to post, read, surf, and lurk. I don't even mind lurkers on my own site, but I love comments even more. So drop me a line if you want. We are a family of 6, I am a stay at home mom, and we just try to survive life by smiling and laughing at ourselves. Thanks for checking in on our family. Emily @ Little Momma and Co.
Just for Jarom! Love you honey! My kids crack me up! They've made it to China! Today is my 31st Birthday!! GO BIG BLUE!!!! BSU's big win!! 10, 9, 8, 7....Happy New Year! Header paper and elements from Avec Amour by Zazou.